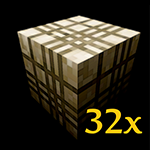 OzoCraft is a 32x32 RPG style resource pack with a rustic and playful feel. The pack includes all items, mobs and even some custom music! 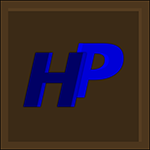 The Hawkpack is like an upgrade to the default Minecraft pack. 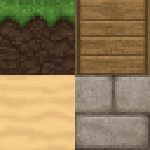 It takes all the simplicity of the default pack, saturates it, and smooths it out to a fine finish. It's very clean and distinct. 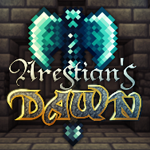 Arestian's Dawn is a beautifully intricate pack. 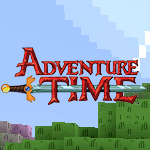 It has a very Medieval feel to it and works well as a more realistic Minecraft experience. 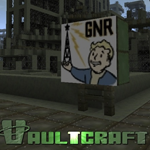 Vaultcraft is a 32x32 texture pack designed to resemble many aspects of Fallout 3 and Fallout New Vegas. 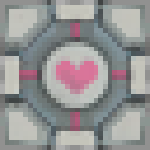 Pseudocraft is a really bright simplistic resource pack with a consistent checkered pattern across many of the textures. The pack also includes some comical textures such as a smiling face on dispensers.